Our main goal as parent is to teach our children to be contributing members of society. That includes everything from saving and spending money wisely to holding the door open for the next person. Now I personally believe that children naturally have caring hearts. That we adults should harness some of their selflessness and of course encourage it. A great way to foster humanity is by participating in Walgreens, Get a Shot Give a Shot, Back to School immunization campaign. Every time a child gets their required immunizations, like whooping cough and meningitis, the United Nation Foundation's Shot@Life will provide a lifesaving vaccine to a child in a developing country. This is the perfect opportunity to teach our children compassion. Now when it comes to getting their vaccines, my kiddos are normally less than compliant. However, when I told my son that when he got a shot it would also help protect another child from a preventable disease, he stuck his arm out and said "Let's do it!" Yes I did shed a proud tear when he said this and we were just chatting about the program! He actually doesn't even need any required shots this year. It is exactly this kindhearted disposition that I hope and pray my children will hold on to throughout the rest of their lives. 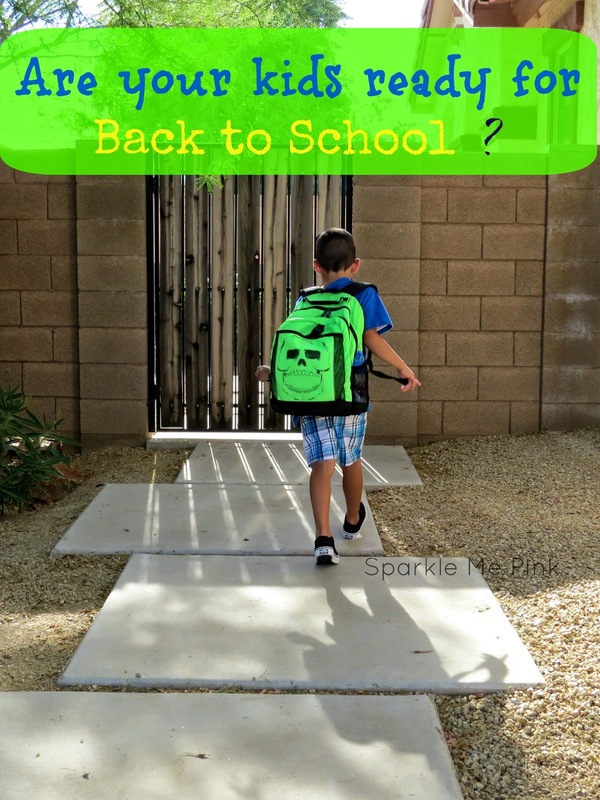 Not that you need any but some other reasons to get your Back to School immunizations at Walgreens is that visit are quick, easy and an appointment is not necessary. 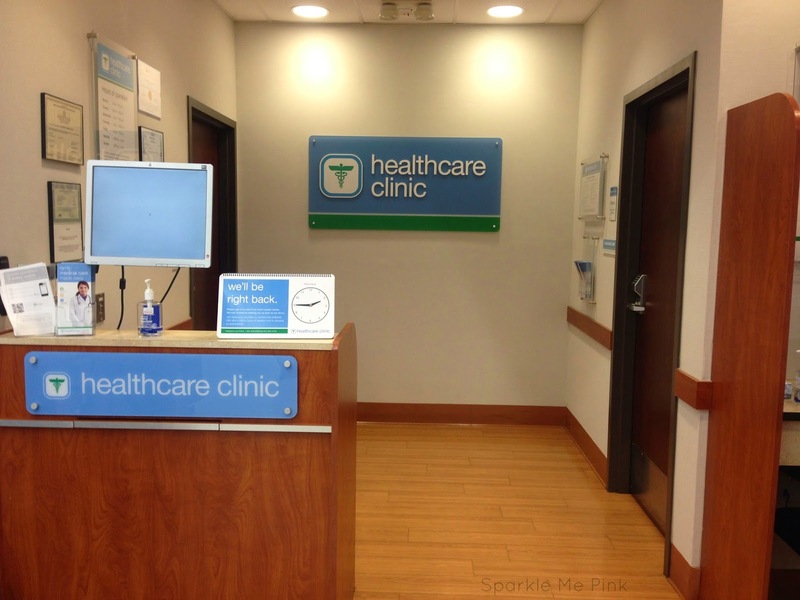 Also most insurances are accepted and the Walgreens pharmacist reports back to your primary care physician. It is truly a win-win all around ! By the way ... At first I thought immunizations were only given at a Walgreens with a HealthCare Clinic. When actually it is the pharmacist who administers the vaccines. Check here to see if your local Walgreens offers this service. I also found this excerpt on the Walgreens website. It definitely warms my heart reading how many amazing organizations they are working with and what they do for those in less fortunate conditions. The campaign partners with many organizations and corporations to broaden American support for immunizations against diseases like pneumonia, diarrhea, measles and polio to children in developing countries. Together, these partners are working with Shot@Life to benefit the GAVI Alliance, UNICEF and the World Health Organization who are already saving lives and improving the health of millions of children around the world every day. I encourage you to check out your local Walgreens this Back to School immunization season to see if you can in fact help the cause when your kids, Get a Shot Give a Shot. 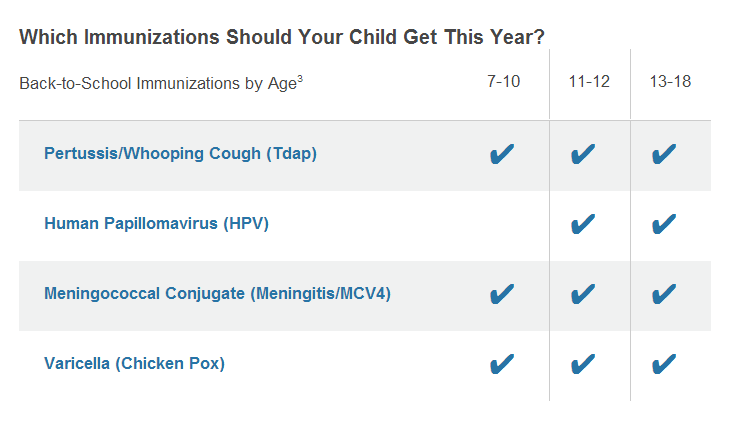 Comment below and tell me ... Do your kiddos need vaccines this year ? Also while your at Walgreens see if you can scope out some of the new e.l.f. Disney beauty products that are out. 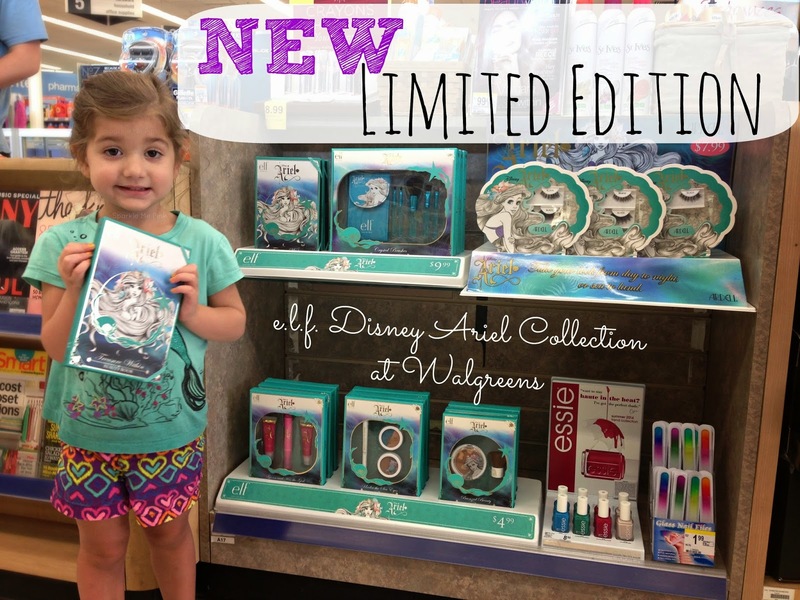 I believe just the Ariel and Snow White collections are released right now ... Have you spotted others ? See here for more info and pictures of the Ariel makeup collection. no vaccines needed this year. it is a pain taking them. so hard to get them to sit still and take the shot. i hope it gets easier as time goes on. Our kids don't need their vaccines this year, but I know that when they do Walgreens will make it easy with no appts and we can walk in. Best part our kids are helping another child too. Thank you for sharing this helpful post! It's great that getting vaccinated is so simple! I love how simple Walgreens makes it! So easy to get required shots! This is awesome and SO wonderful for the community! I think that this is awesome get a shot give a shot. 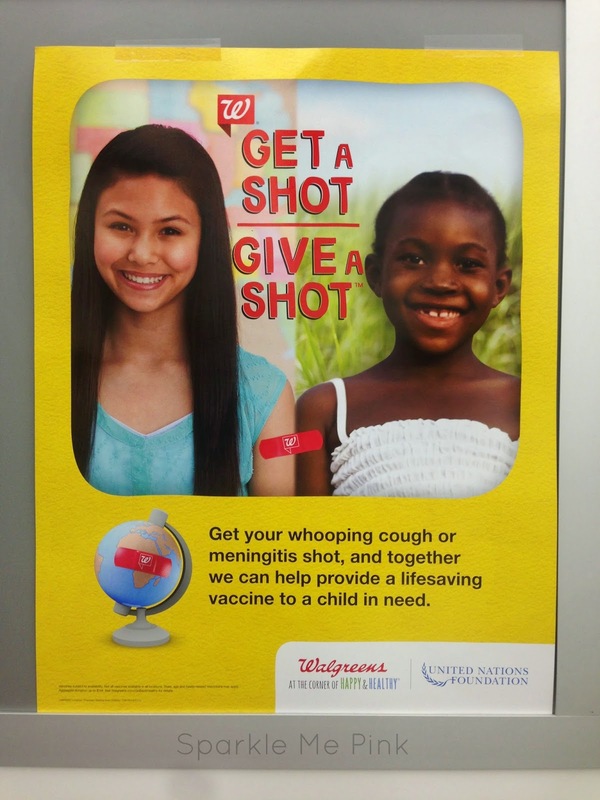 We do not need vaccinations this year, but I have gotten them at Walgreens. Thanks for sharing this. It is so important to stay upon one's shots. Being over 50, I even had to get my Whooping Cough shot as it was going around in the town I used to live in.